Do you have questions about the home buying process? Do you know your credit score and what it means? Do you have student loans? Thinking of selling your current home? ✅ Newest grants and downpayment assistance programs for home buyers. ✅ How does your credit score impact your approval amount. Imagine holding the  to your new home. Let’s make your dream a reality! 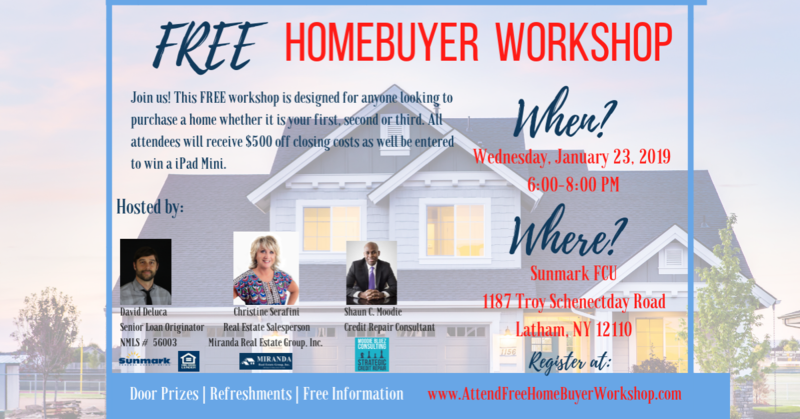 Visit www.AttendFreeHomeBuyerWorkshop.com or call me today to register.